Constitution Day focused student journalists on power of free expression for scholastic media. Your students can continue to recognize the importance of First Amendment practices and policies – and be recognized for it – by applying for this year’s FAPFA award. This First Amendment Press Freedom Award recognizes high schools that actively support, teach and protect First Amendment rights and responsibilities of students and teachers. The recognition focuses on student-run media where students make all final decisions of content without prior review. No prior review or restraint by school faculty for all student media. Student staffers make all final decisions of content for all student media. Establish policies at all student media and school system levels or both as public forums for student expression. Students, advisers and administrators agree on First Amendment practices, philosophy and application across platforms. As in previous years, schools compete for the title by first answering questionnaires submitted by an adviser and at least one editor. 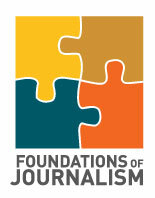 Those who advance to the next level will be asked to provide responses from the principal and all media advisers and student editors, indicating their support of the First Amendment. In addition, semifinalists submitted samples of their school and media online or printed policies that show student media applying their freedoms. Schools recognized as meeting FAPFA criteria will be honored at the opening ceremony of the JEA/NSPA Spring National High School Journalism Convention in Seattle. First round applications are due annually by Dec. 1. Downloadable applications for 2017 will be available on the JEA website in the fall. Save this link and apply now. Even if your school received the recognition, you must re-apply yearly. Meet the challenges raised by Constitution Day. Apply to be a FAPFA-recognized school. This is the 17th year for the award.